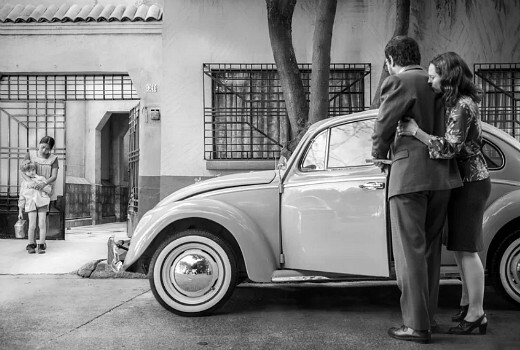 Netflix movie Roma by director Alfonso Cuarón has won the AACTA International Awards for Best Film and Best Direction at an event staged in LA. Renee Bargh hosted the event at the The Mondrian Hotel with Cuarón attending along with Nicole Kidman, Rami Malek, Olivia Colman, Glenn Close, Alfonso Emily Blunt, John Krasinski, Phillip Noyce & Alan Dale. More winners can be found here. Hannah Gadsby received her AACTA Award for Best Performance in a Television Comedy, which she won at the domestic AACTA Awards in Sydney last month for Nanette. Highlights from the 8th AACTA International Awards will be aired in Australia on Wednesday 9 January at 7:30pm AEDT as part of Screen followed by encores the following day on Foxtel Arts. TV Tonight is a partner of the AACTA Awards. Yay. —– ‘ Rotten Tomatoes.com ‘ —–finds —Cuaron ,is in “complete ,and enthralling command of his visual craft”. I’m going to visit ‘Roma’ again.